The death of Marvel Comics legend Stan Lee in November had a large effect on the comics industry. The characters he and others created and the stories they crafted have deep meaning with many readers around the world. “Growing up, my dad did twenty-five years in prison, so that’s how we would communicate, he would send me comics,” said North Oakland resident and comic reader Hector Navarro. Navarro and others are an example of how comic books can be used as a way to connect with others, whether they are friends or family members. Comic books as a medium of entertainment have long been growing and changing. The one constant is how people look at the characters and relate them to their own lives. Comic books have come a long way when it comes to most aspects involving the medium. 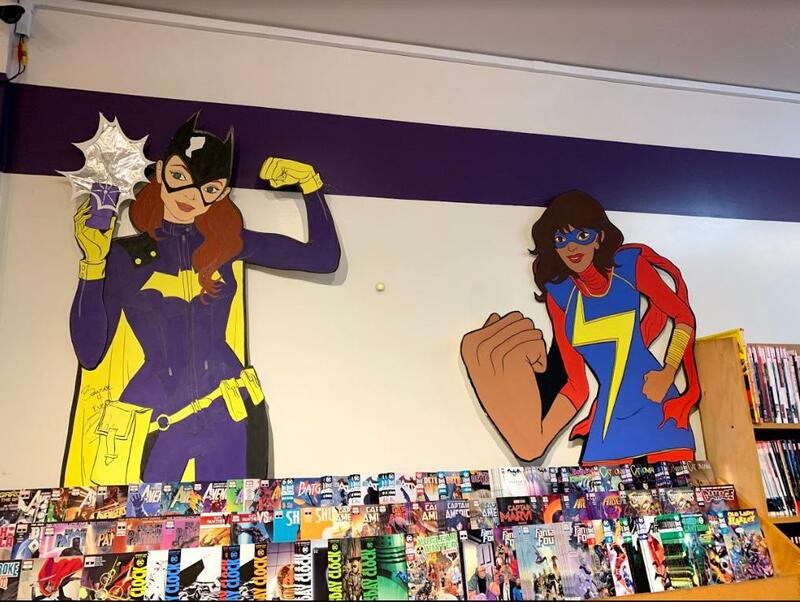 BatGirl and Ms. Marvel overlook New Comics at Comix Experience. Some comics fans are so passionate that they decide to open up their own shops. 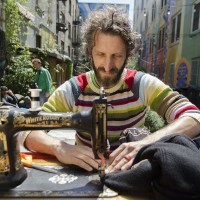 Brian Hibbs is the founder and owner of Comix Experience, a comics shop located on Divisadero Street in San Francisco. 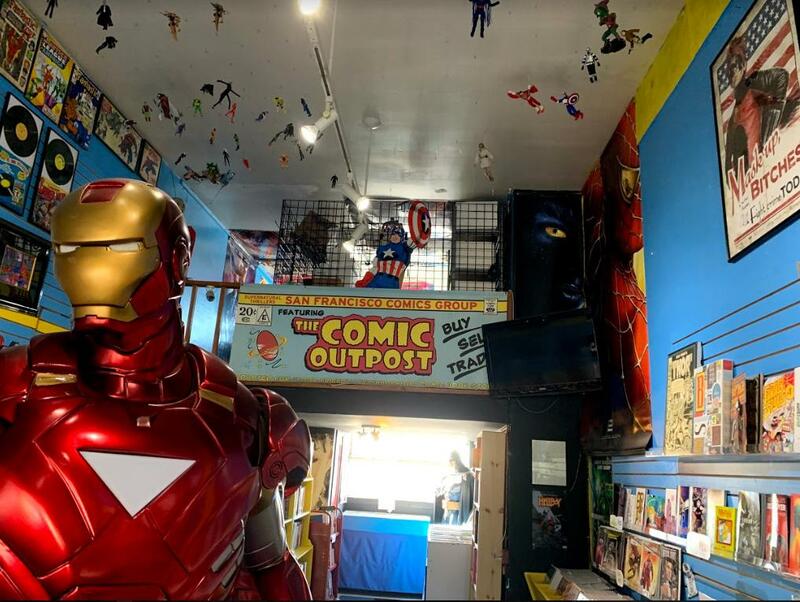 The store has been open for over thirty years and Hibbs said he has seen the change of comic book culture throughout the years. One of the things that have shifted the culture of comic books in recent years is resellers and collectors. Major comic book publishers such as Marvel and DC Comics are both owned by large corporations, which for some comic fans, creates issues when it comes to the problems with comic book resellers and collectors. Marvel is owned by Disney and DC Comics is a subsidiary of Warner Brothers. Hibbs said one issue he sees when it comes to the purchasing of comic books is those who come into stores just to buy every new issue of a certain series in order to make a profit off of it. He said this can be bad for those who actually want to read these stories because stores run out of stock due to those buying mass amounts of issues. 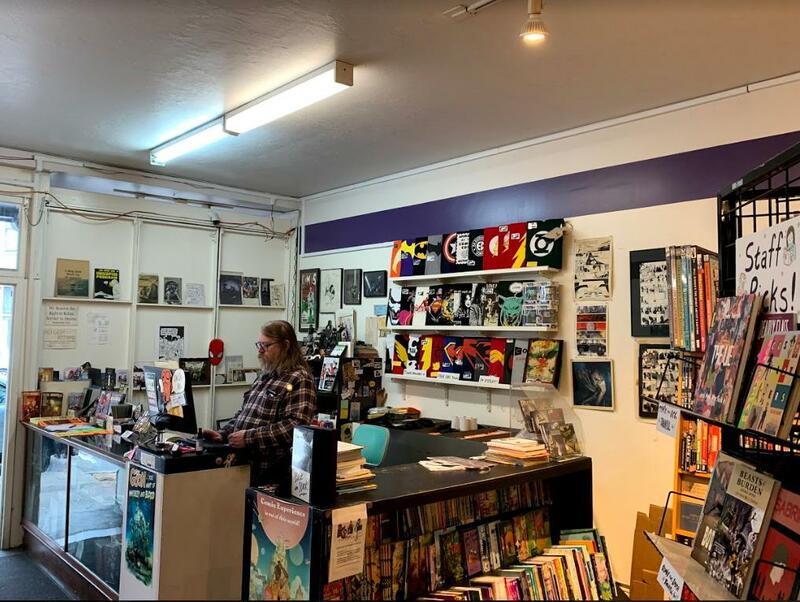 “The collectibility outweighs the story,” said Julie Fiveash, the manager of the Comix Experience Outpost location on Ocean Avenue. Fiveash said that the people who buy large amounts of comics make it difficult for readers to access them if they want physical copies. Brian Hibbs said one of the goals and strategies of Comix Experience is to push comics that are not just about superheroes. Owner Brian Hibbs gets ready to Open his Divisadero location for the day. According to Marvel’s official website, there are 801 issues currently available for The Amazing Spider-Man, a series that has been ongoing since 1963. The problem some comic readers see with this is that the large amounts of issues may oversaturate the comic market and turn off some readers. 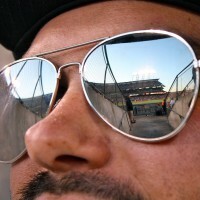 “For new readers, it’s a hard hill to get over,” Fiveash said. 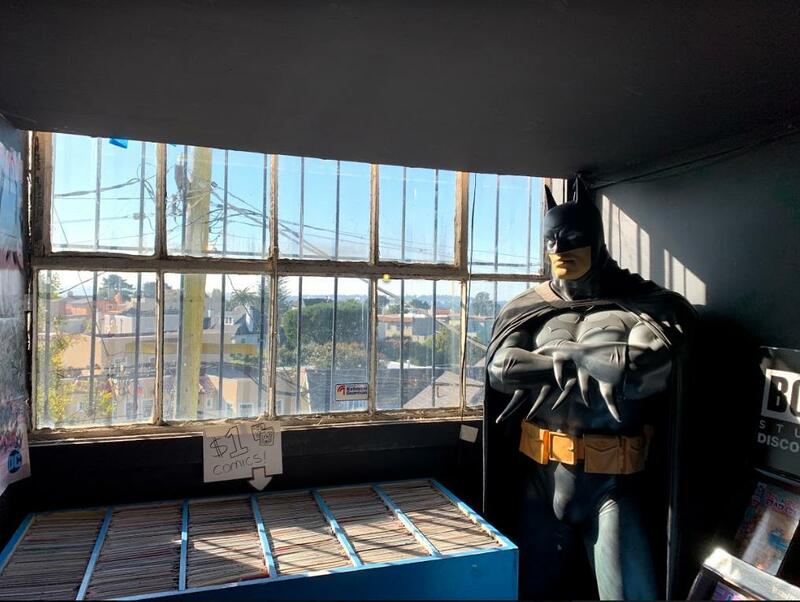 A Batman statue looks over Ingleside in the Comix Experience Outpost store. Comic books are more accessible now than ever for many readers and that extends to the type of comics that are consumed and how one can read them. There are websites and online services like Comixology and Marvel Unlimited that allow comic fans to access digital versions of the stories they want to read and they can be accessed on most devices. Although digital comics have grown, there is still a reason for these comic book stores to exist: Physical copies are still outselling their digital counterparts. While the way people consume comics may be changing, what has stayed constant is how these stories can resonate with people. Comic book creators have been diversifying their stories and characters, which adds room for an even larger fan base as there are more characters of color than ever. Miles Morales (Spider-Man) is a recent popular example of this as this character has been around for less than a decade yet he now has a major motion picture.